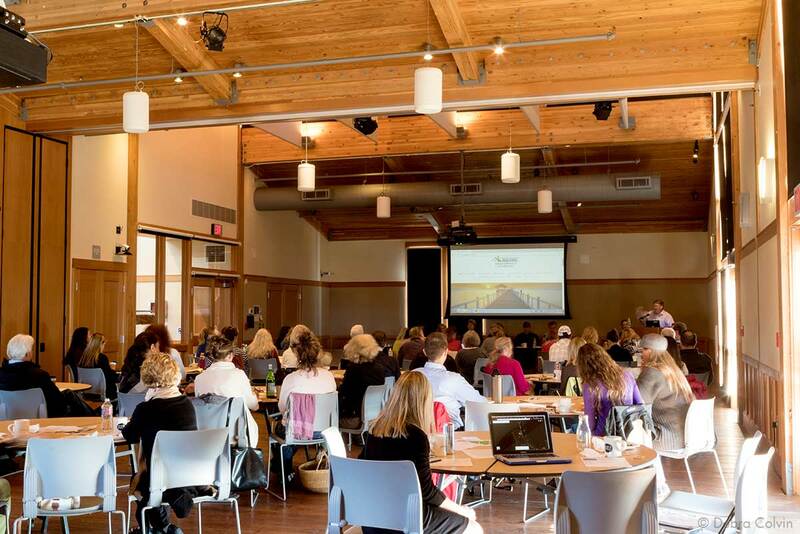 Planning your next conference, party, or employee getaway? You've come to the right place. Choose from our a-la-carte rates below, or inquire about our Complete Meeting Package for a fully customizable event on a per-person charge basis. 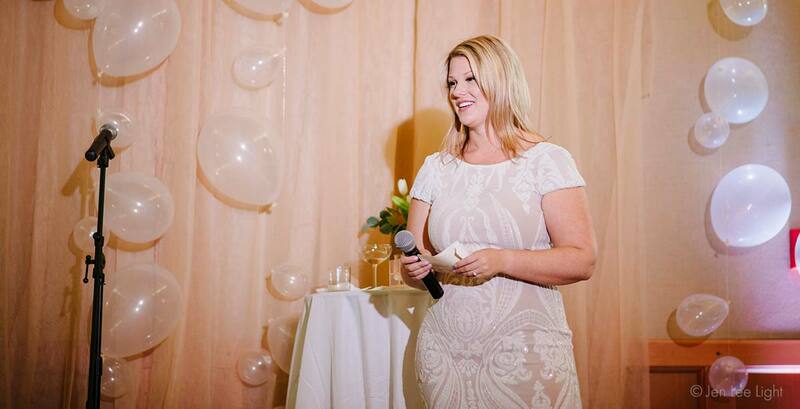 Our largest meeting space with expansive waterfront views—ideal for the largest gatherings. This room measures 30′ x 75′, and can be divided into two smaller rooms, each measuring 30′ x 37½’. 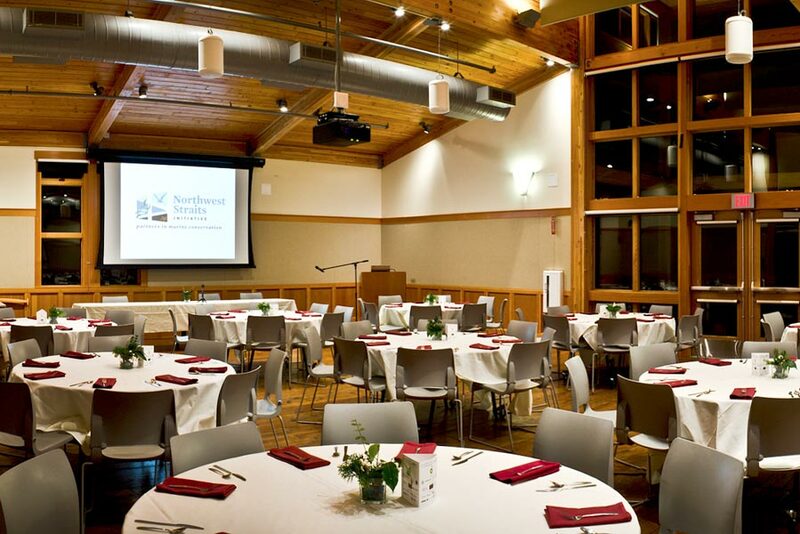 In its largest configuration, the room can seat 200 lecture style, and 144 at round banquet tables. See below for all configurations. 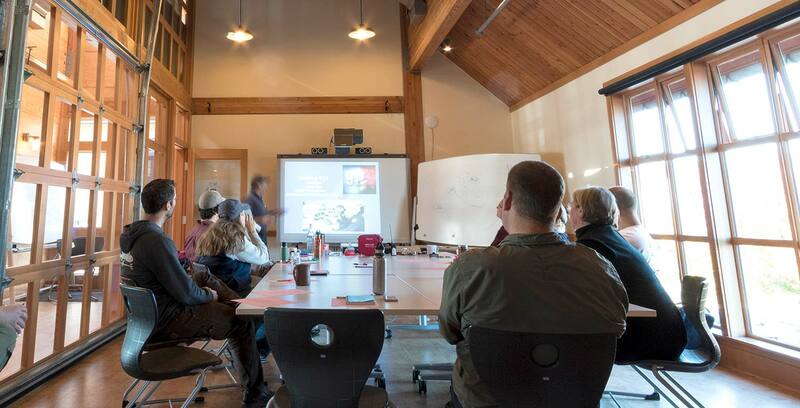 The “Discovery” and “Explorer” classrooms are excellent for lectures and breakout sessions of 20. High ceilings and large windows create a comfortable atmosphere that fosters learning. 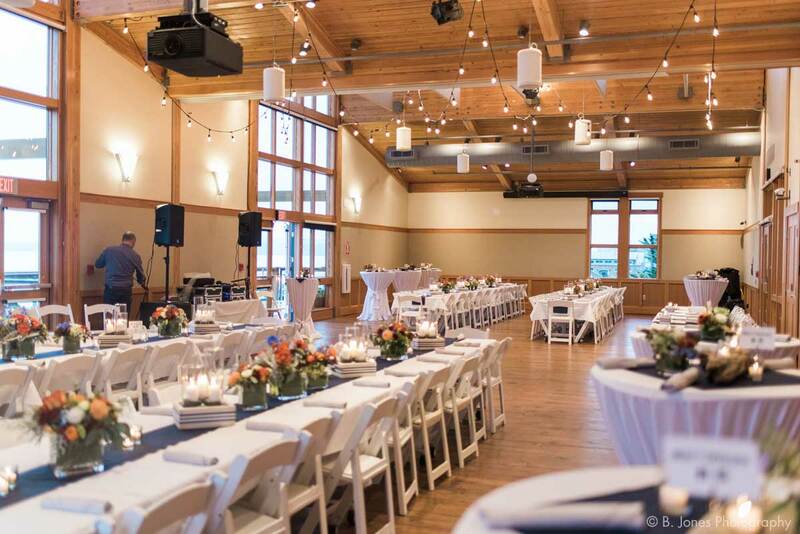 Can't decide between having a mountain view or water view for your event? Why not both? 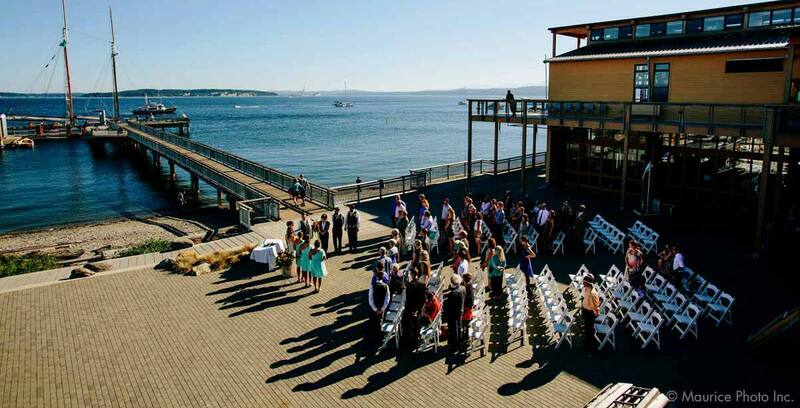 Our beach-side outdoor commons overlooks Port Townsend Bay and the Cascade Mountains. 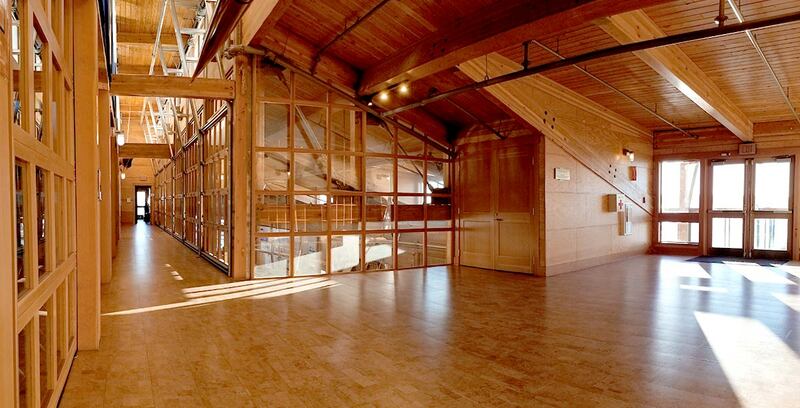 This space is perfect for wedding ceremonies, outdoor classes and activities, or even just quick break from a meeting. Gather here for a cocktail hour or casual reception. 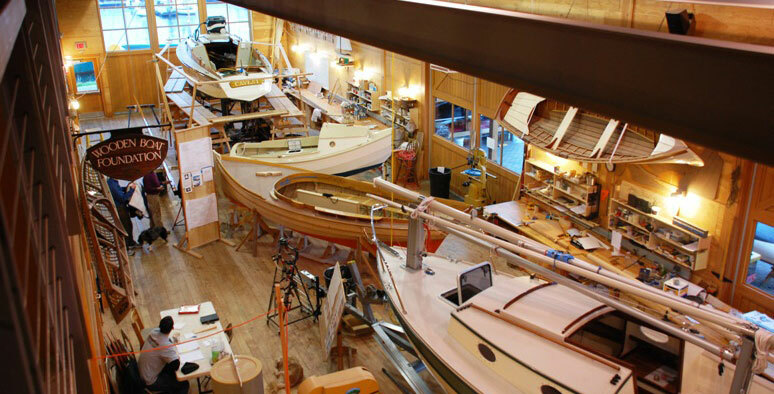 Take a peek over the rail for a birds-eye view of maritime restoration work in the boatshop. (Includes Discovery Classroom). 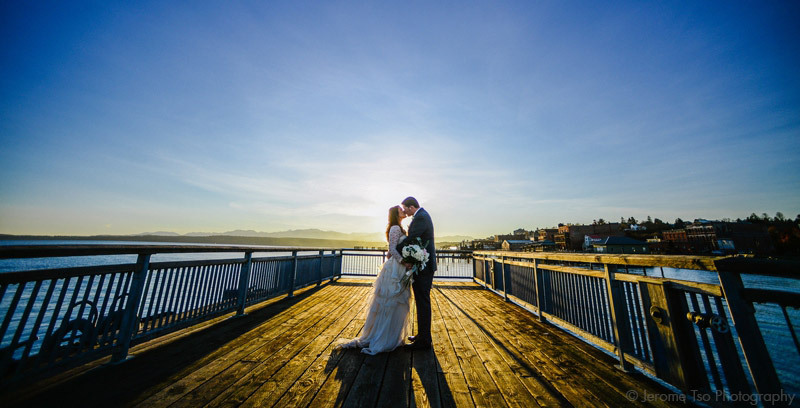 Jutting out into picturesque Port Townsend bay, our pier may be the perfect ceremony location for you and your closest. 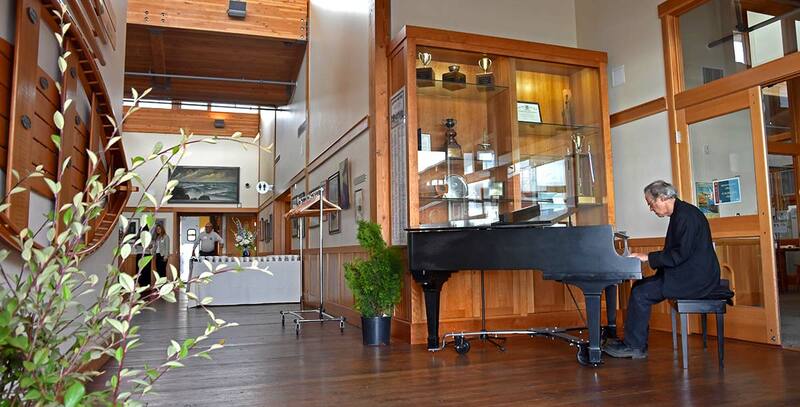 Take advantage of beautiful saltwater, Olympic Mountain, and Cascade Mountain views. A uniquely artisan space for a large gathering. Enjoy the authentic scent of cedar and spruce from nearby boat projects. 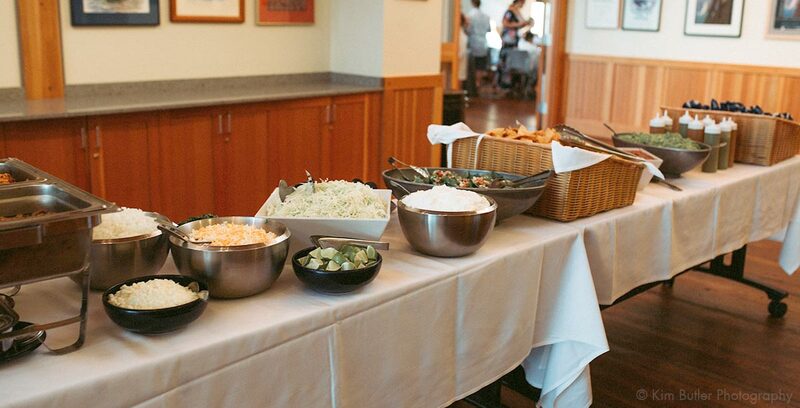 A fully certified catering kitchen is available for self-hosted or catered meals. 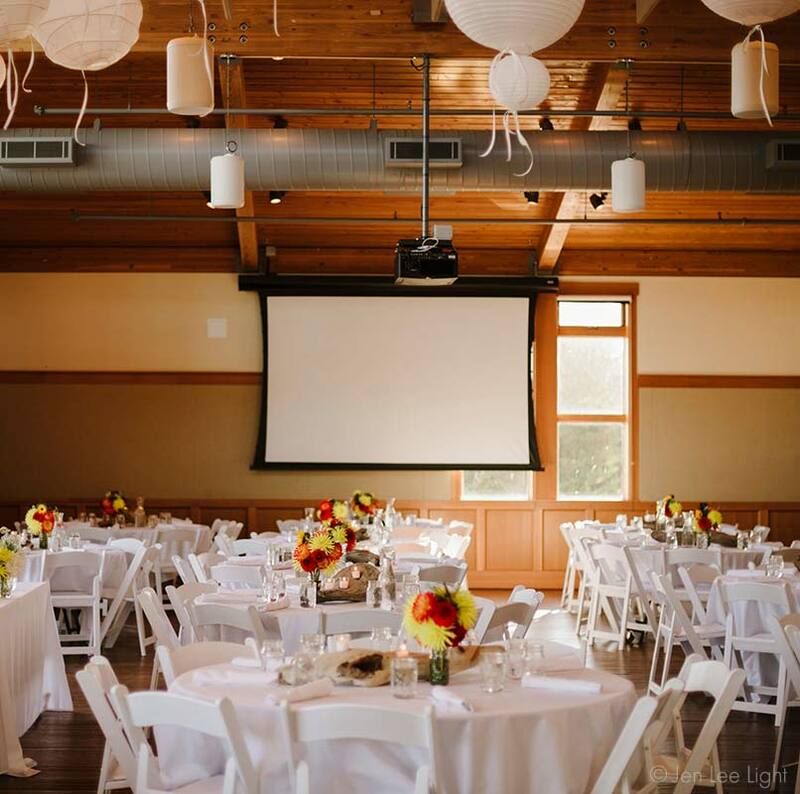 Fee is waived if you use one of our preferred caterers. Please inquire about current offerings. Rent our in-house A/V equipment, set up as per your needs by our House Manager. Speakers, microphones, and projection equipment are available. Add some classic flare to your event and rent our Yamaha Baby Grand Piano!